I am experiencing an issue with Fences where it appears to crash Windows Explorer. The occurrence seems to be random. 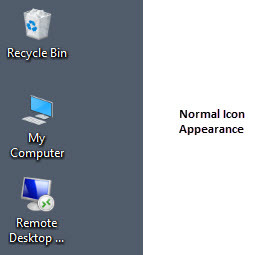 If I hover over icons on my desktop or in a fence, a black box will appear around the icons. If I refresh the desktop, my background disappears and is replaced with a black background. I can sometimes keep refreshing the desktop to get everything back to normal, but in most cases I need to toggle my background off and on to get everything back. I tried turning off the “Additional Tweaks” options, to see if that would make a difference, but sadly it did not. I really enjoy this program and would rather not remove it. 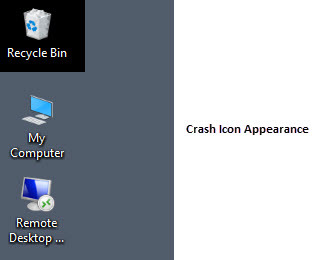 I have only noticed this behavior after I moved from Windows 8 to Windows 10. It seems to me that Fences is causing Windows Explorer to crash, but please let me know if there is any additional information I can provide to move the troubleshooting along. I listed some screenshots below that will hopefully help illustrate the issue. Reboot and test and report back here , please. Hi AzDude. Thank you for your prompt reply. I followed the steps you listed and for now Fences appears to be behaving itself. I after the reinstall I did choose to setup fences from a previous snapshot. If the issue reoccurs, I will re-run your steps and will build my fences from scratch. I will report back in later this week after a few days of use and will let you know if the issue reoccurs. OK good to hear OK for now . I just want to follow up on this. The occurrence of this issue has decreased quite a bit. 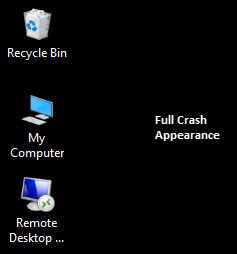 Every now and then my icons will turn black or the entire desktop ( as I pictured previously ), but after a few minutes it seems to self correct ( I assume Fences or Windows Explorer crashes and then restarts ). A permanent fix would certainly be great, but I can at least work with what I have. OK , good so far ..